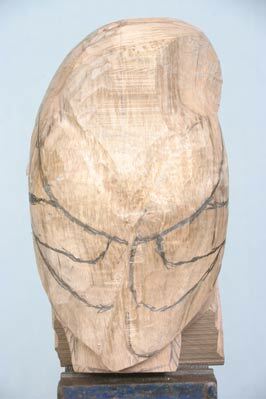 The idea of carving a little owl was the result of some memorable encounters with these characterful members of the owl family. 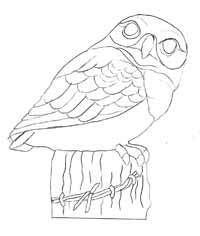 While walking near our home in Kent in an area of mixed trees and grassland, they could easily be seen through the twilight sitting on top of convenient fence posts, scanning the grass below and in front of them for any insects which took their fancy. 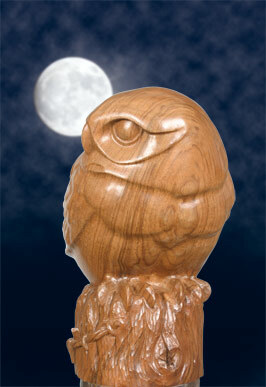 When suitably enticed, they would swoop down from their posts and attack their chosen prey. 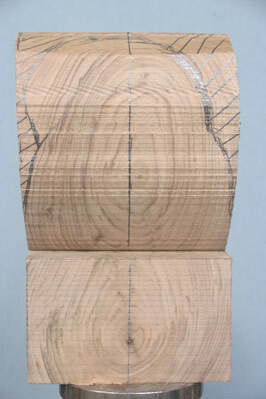 As I was going to keep the detail to a minimum on this piece, it was a good opportunity to use a block of English walnut (Juglans regia) that I had been hanging onto for some time now. 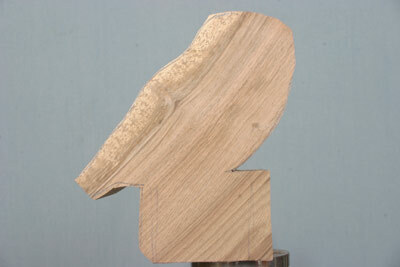 Walnut can have the most beautifully figured grain along with a warm, nutty brown colour. 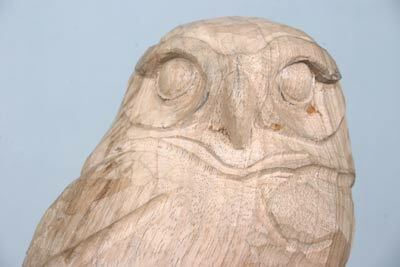 If too much detail were to be carved into this wood, the strong figuring in the grain would conflict the result would be that neither the wood, nor the carefully carved detail, would be shown to their best advantage. 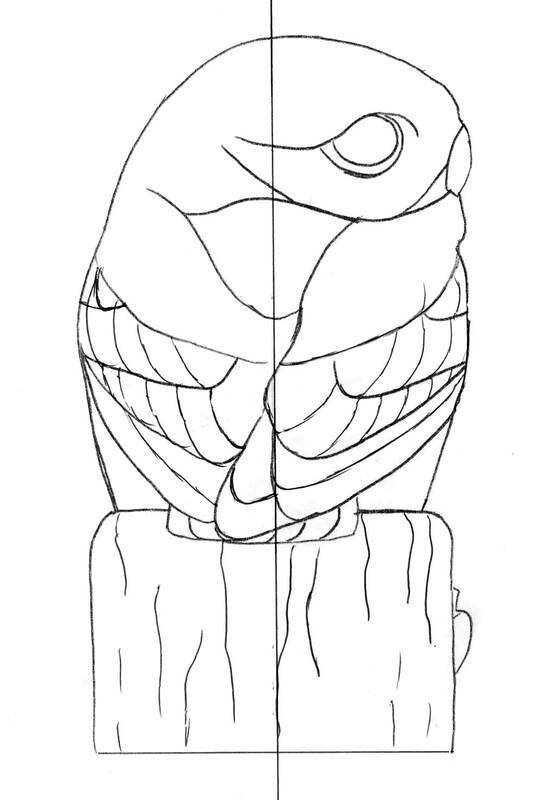 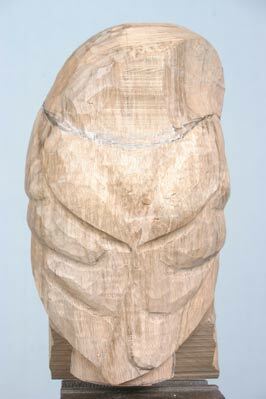 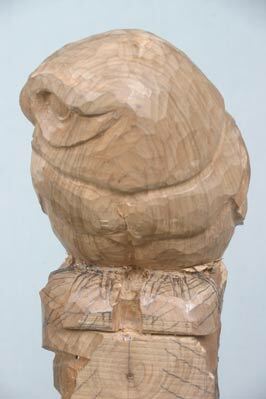 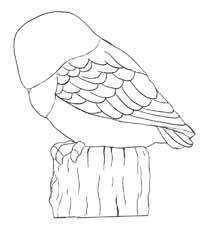 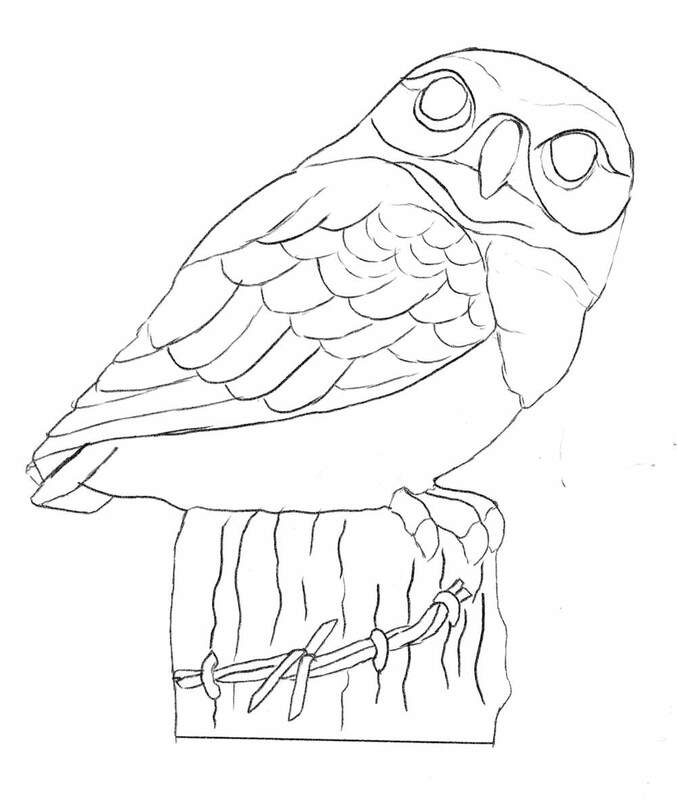 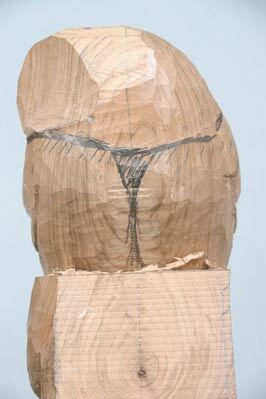 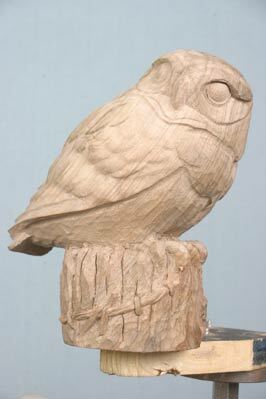 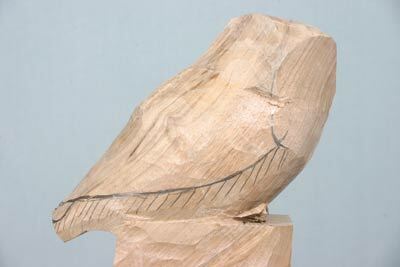 When carving your own version of the little owl, you could also try using walnut or alternatively, you could use most other types of hardwoods. 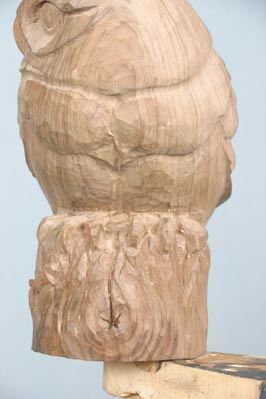 Some other good examples would be: sweet chestnut (Castanea sativa), ash (Fraxinus excelsior), elm (Ulmus spp), lime (Tilia spp), cherry (Prunus avium), apple (Malus sylvestris) and even mahogany (Swietenia macrophylla). 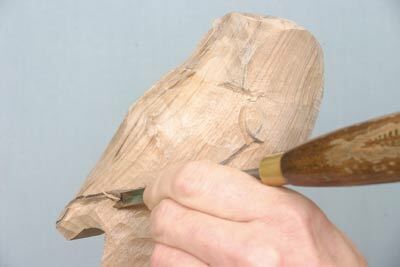 By all means use the accompanying plans to help with the initial bulk wood removal, but gathering some reference photographs of your own always helps. 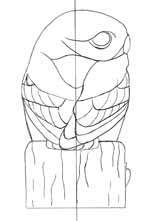 Enlarge the accompanying plans to the size you require ï¿½ mine measured 180mm (7in) in height then cut them out. 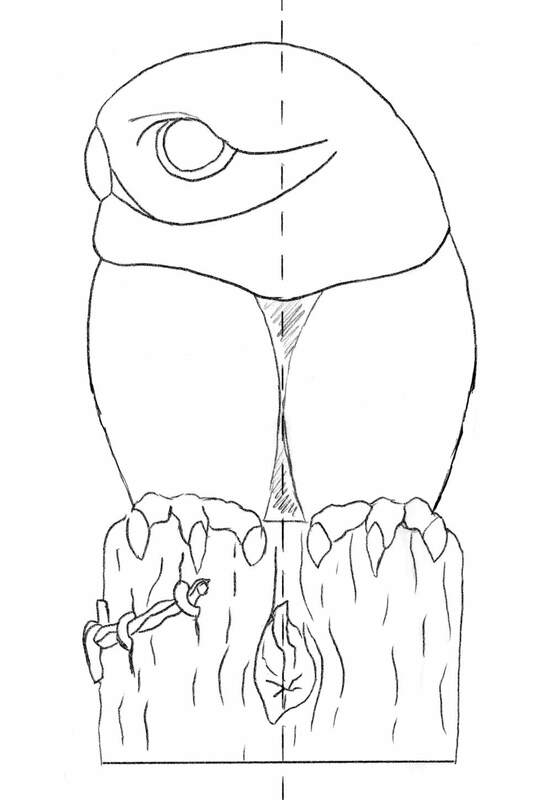 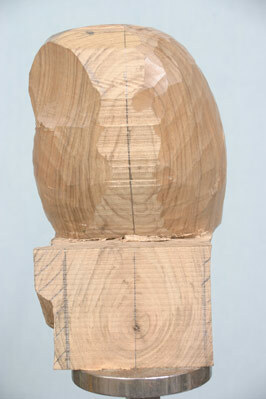 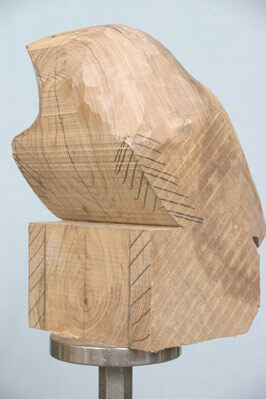 Make certain that your chosen piece of wood is large enough in all directions to accommodate the sculpture. 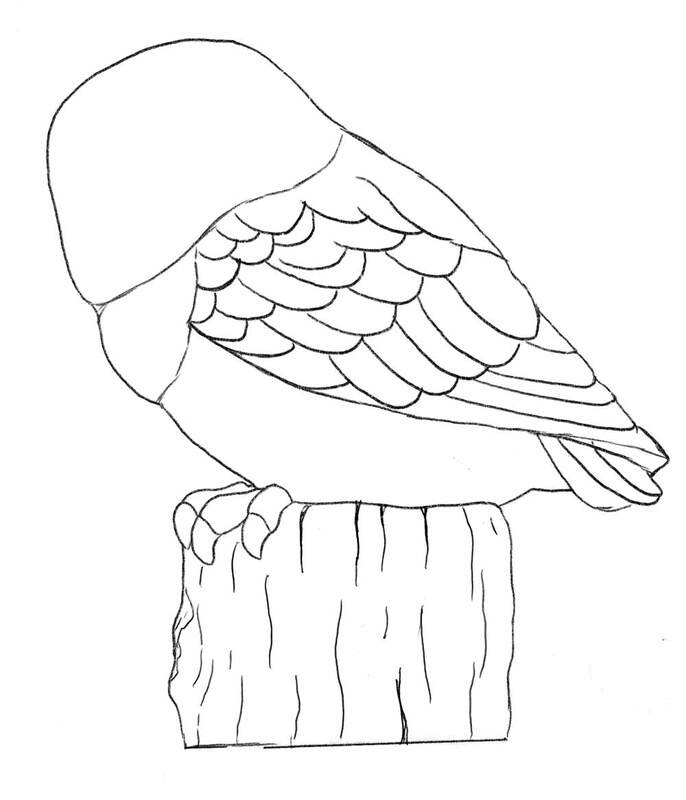 area as well as areas around the beak that need refining. 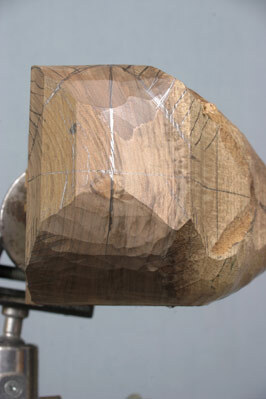 When combing a sanded finish with a tooled finish it is important to get the sequence right. 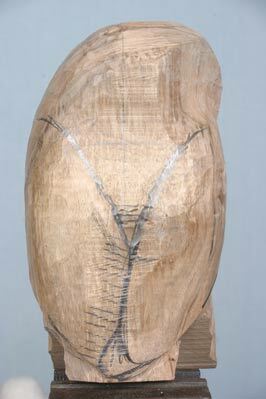 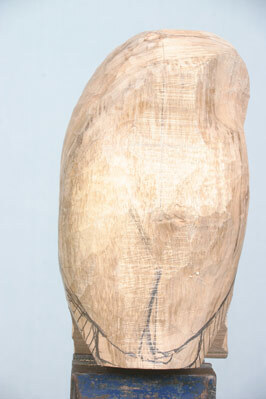 With this particular piece the owl is to have a sanded finish which will show up the beauty of the walnut. 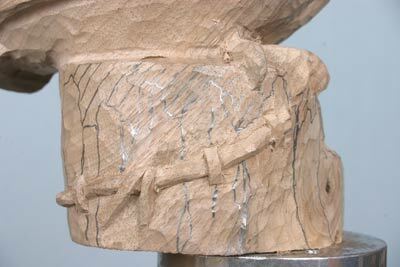 To give a little contrast, I chose to apply a tooled finish to the fence post section. 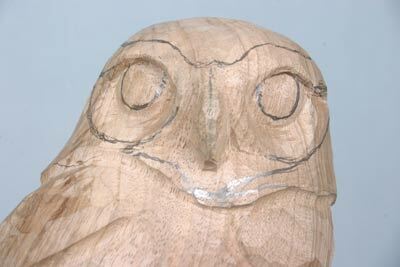 If I were to finish the post area with nice crisp, clean toolmarks before I sanded the owl, it would be very difficult to avoid scuffing the tooled area with sandpaper and therefore ruining it. 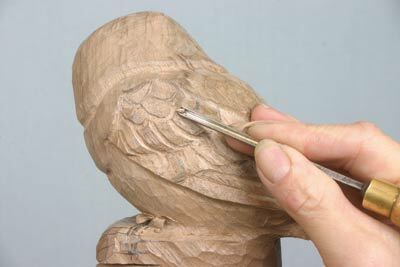 A better way is to roughly carve the area to have the tooled finish before completely sanding the smooth areas to the finished state, then go back to the tooled area and carefully finish it up. 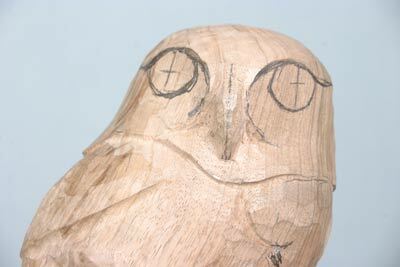 When sanding the owl, work through grades 180, 240, 320 and 400grits. 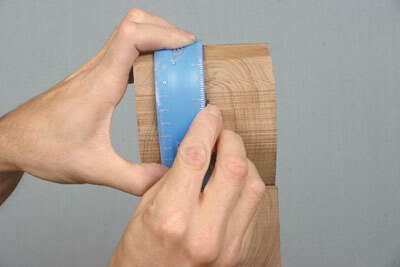 Pay attention to work into every detail by carefully folding or rolling the abrasive to get into all the tricky little areas. 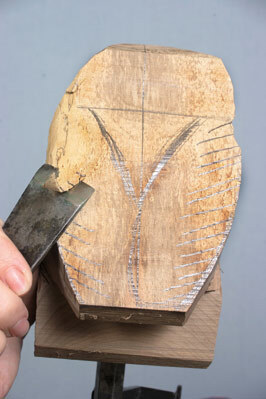 Try backing up your abrasive with strips of old credit card - guitar plectrums work even better - to give a bit of stiffness. 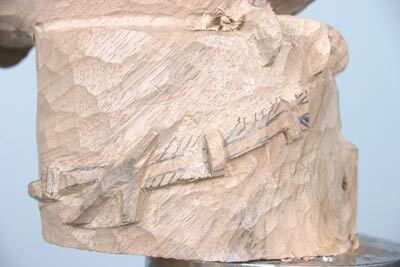 When completely finished with the 400grit abrasive, go back to the -post-section and very carefully apply the final surface tooling. 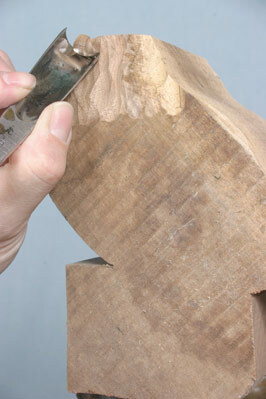 Brush off small chippings and the dust from the sanding.